The Costa Brava is a coastal region of northeastern Catalonia, Spain, in the regions of Alt Empordà, Baix Empordà and Selva, in the province of Girona. The Costa Brava stretches from Blanes, 60 km northeast of Barcelona, to the French border. The coast was named Costa Brava by Ferran Agulló in an article published in Catalan newspaper La Veu de Catalunya in September 1908. Agulló, a journalist born in Girona, referred to the rugged landscape of the Mediterranean coast which runs from the river Tordera, near Blanes, to Banyuls with the name Costa Brava. Costa is the Catalan word for 'coast', while Brava means 'rugged' or 'wild', a name that is extremely descriptive of the impressive natural landscape of the area. 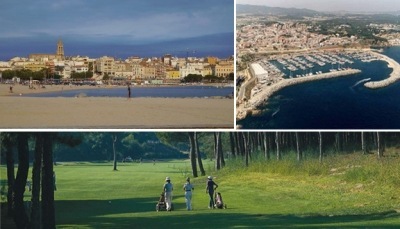 The Costa Brava is a region of great natural wealth. Its location and constitution allow it to survive some typical Mediterranean species with a tendency to disappear in other places. In order to protect the most vulnerable areas only in the region of Baix Empordà there are 23,478 ha (33.5% of the region's surface) protected by law, allowing these areas develop the typical fauna and flora of the area. While part of the Costa Brava coastline lent itself to tourist developments, other parts have retained a more traditional look, getting an amazing and interesting mixture of modernity and tradition. Small towns like Cadaqués, which is close to the French border and close to the foothills of the Pyrenees, have attracted artists, such as Salvador Dalí, Joan Miró and Pablo Picasso. The Dalí Museum in Figueres is one of the most important and visited museums in Catalonia. One can also visit Dalí's House-Museum in Port Lligat, near Cadaqués and the Castle of Púbol in Púbol. 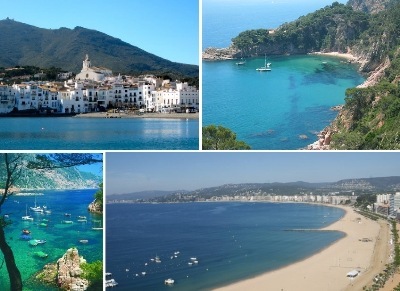 The coast between Roses and Tossa de Mar has many delightful small coastal towns, such as Pals, Begur, Tamariu, S'Agaró, Empuriabrava, Llafranc, L'Estartit, Aigua Blava, Fornells, Calella de Palafrugell, Calonge, Palamós and Sant Feliu de Guíxols. Over the course of its history, especially over the last one hundred years, the Costa Brava has been the birthplace and place of residence of artists from various disciplines. Several political, intellectual and social figures have passed through or stayed on the Costa Brava, which has contributed to transforming it and boosting its profile both at home and abroad. Artists and actors in particular have helped to give the area a glamorous image. Elizabeth Taylor, Ava Gardner, Orson Welles, Yves Montand and Douglas Fairbanks all graced the Costa Brava with their glamour, as did Salvador Dalí, Marc Chagall, Dani Karavan (sculptor of the monument to Walter Benjamin in Portbou), Ramon Pichot and many others. The climate of Costa Brava is typically Mediterranean, mild and temperate, characterized by hot, dry summers, and moderately cold winters. The annual average temperature ranges from 7 to 28 °C, while the highest temperatures are recorded in the months of July and August.